I joined the SCTE Great Lakes Chapter (GLC) in 2008. I started serving on the SCTE GLC Board of Directors in 2012. I have served on the SCTE GLC Elections Committee, Certification Committee and chaired the General Chapter Meetings. Members of the SCTE GLC Board of Directors are dedicated cable professionals who volunteer their time to make this chapter a huge success. SCTE members benefit from the Board’s leadership through the education and training that the SCTE provides. By attending the chapter meetings, the SCTE helps keep cable and telecommunications professionals up-to-date on the latest technology in this very dynamic industry. I believe the success of this chapter is directly tied to the dedication and commitment of the chapter Board of Directors and members. Knowing the benefits that SCTE provides and my experience in the cable and telecommunications industry, I am committed to the GLC Chapter of SCTE. Great Lakes Chapter, Board of Directors since 1995, Currently Vice President. I began my cable career in 1982 with Booth Communications in Birmingham, Michigan. Through the acquisitions and rapidly changing environment of the Cable Industry from Booth Communications, to MediaOne, and now I’m currently working at the Comcast Master Headend in Taylor, Michigan. I have been on the Great Lakes Chapter Board of Directors for 23 Years. While holding several positions on the Board as, Director at Large, Treasurer, Vice President, President and Chairman. Currently serving as Vice President of the Chapter for this year, I have been involved with each of the local Great Lakes Chapter meetings, Board meetings, Financials reporting to SCTE National. In recent Years I have attended the SCTE Region 7 conferences, SCTE National Chapter Leadership Conferences, and attended many SCTE EXPO’s for better communications with SCTE National and advancement of the Great Lakes Chapter. I started my career in Cable in late 2007, as a residential technician with Comcast in Plymouth, MI. I then moved on to Network Technician in 2012 in Ann Arbor, MI. I moved to the Plymouth office in 2015 as a network technician. In early 2017 I moved to the Heartland Region Design team and have been there ever since. I joined the SCTE back in 2012 when I join Network and the SCTE has been very important to me as far as training and extending my learning. I joined the SCTE Great Lakes Chapter board in 2016 and in 2017 I was elected as the Great Lakes Chapter as the Secretary Officer position. As Secretary I enjoy being a productive member of the board and working with our other Board members and our associate members of the board to come up with new and interesting ways to introduce any meeting we hold. The SCTE to me is a very vital part of being in cable, it provides great networking (internal, or external) and I have learned quite a bit in my career. I am an active Proctor for Certifications through the SCTE, so if you would like to become certified by the SCTE please contact me and I can help facilitate any certification needs. If you have any general questions about the SCTE please reach out as well, and I will work to get the answers anyone may need. I look forward to seeing our Great Lakes Chapter members at all of our events and I hope to meet any new members that join up and attend our Trainings or General Meetings. Nik is a ten year veteran of the cable industry, starting out in technical operation with Comcast in the Ann Arbor system. Nik joined the Network group in 2010 and is currently a Network Supervisor in the Plymouth system. He has been a member of the SCTE Great Lakes Chapter since 2006 and joined the board of directors in 2014.member. – Started his career in February, 2007 in the Southfield System. 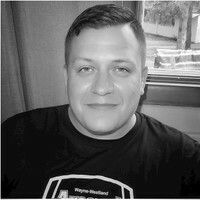 From Installation and Service to Network Maintenance now recently Headend Engineering of 2014, Sam has 11 years of experience in cable systems ranging from Ann Arbor, Plymouth, Southfield and recently Western Oakland County to the Thumb area. As an arsenal of competencies, he has certification course work and experience with Arista, Ciena, Cisco, and Juniper networks. His perseverance of excellence has served him in designing, rebuilding, implementing, and maintaining Inside Plant, Outside Plant infrastructures of cable television systems. Sam is experienced with Next-Gen technologies such as Carrier-Grade Ethernet, DOCSIS 3.1, Fiber-deep High Density deployments, MPEG 4 Video formatting, RFoG, Remote PHY and VOD Content Delivery Networks just to name a few. His work ethic, generosity, and team player spirit complement the awesome members of the SCTE leadership and board community. I’m currently the Senior Board Member & Chairman of the SCTE Great Lakes Chapter. While serving on the SCTE GLC board we have grown into one of the most solid, respected local chapters within the SCTE. In 2009 we were recognized as SCTE National Chapter of the Year. Throughout my tenure as an SCTE board member I have worked for Comcast, TCI, Ameritech New Media (now WOW), Maclean Hunter and presently work for Wyandotte Municipal Services as their Superintendent of CATV Telecommunications. I have a broad technical & administrative background and have been an SCTE National member for over 25 years. I am very familiar with the ideals and goals of the SCTE Great Lakes Chapter. I have been responsible for setting up our General Meetings, running the Annual Golf Outing and assisting with our Annual Vendor Day. If elected, I will continue to help drive our chapter forward with hard work and great expectations for the continued success of the SCTE Great Lakes Chapter. I joined HTH Communications as a Project Manager in 2015 and have worked in various roles, most recently as the Sr. Director of Operations. I worked in multiple roles from the Regional level to the Corporate level with Comcast Cable from 1995-2015. I received awards and recognition as a technical leader at Comcast Cable, named Technical Supervisor of the month twice in 2008 as well as leading 2 supervisors that also received the same award multiple times in 2009. I was an Associate Member of the Great Lakes Chapter for just over 2 years. I was elected to the Board and have proudly served our membership since then. I have been a part of various committees’ including Membership and Outreach, writing for the newsletter, and coordinating the Cable Games. I’ve benefitted both professionally and personally from the SCTE at a local and national standpoint. I believe in the curriculum and training that the SCTE has to offer and continue to anxiously promote the benefits of becoming a member. Matt has over 20 years of experience in the telecommunications industry. Matt joined Comcast in December of 1995. During his tenure at Comcast, Matt has performed many different roles such as Service/Maintenance technician, Technical Operations Supervisor and is currently in the role of Sr. Technical Trainer. degree in communication. Matt has many professional accomplishments as being a finalist for a Circle of Success award and has won Technical Operations Leader of the Month 2 months in a row. He also has been a SCTE national member since 2007 and is serving on the board of the Great Lakes Chapter. My cable career started in 2000 with Comcast in Augusta GA. I’ve held various positions in the company, Installer and Service Tech, Lead Tech, Network Tech and also Direct Sales Rep. I have learned a lot from each of these positions which I believe will help our local chapter. I attended Augusta State University after serving in the U.S. Navy. I am currently pursuing a Bachelor degree management. I have worked for Digitrace for over 30 years. I have been involved with the SCTE Great Lakes Chapter for 20 years, assisting with the Vendor Day and Golf Outing during that time. I began serving on the Board of Directors in 2017. I have been in the cable industry for over 21 years and have been a SCTE member since 2000I started my career at TCI cable in Royal Oak, MI in 1996 as an Installer, where I learned the basics of the cable industry and how to provide service to customers. Then in 1997 I moved to Comcast Cable in Sterling Heights, MI as a Service Technician and really learned trouble shooting skills. I didn’t want to stop there so I accepted a new position at Comcast Cable as a Network Technician in 1999 and have been in that roll until 2016.Since December 4th 2016 I accepted a Network Supervisor position for Comcast Cable in the SE Michigan area. Philip has 19 years of cable experience. 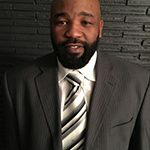 He started his cable career with Media One in 1998 as an Installer/Service tech in the Southfield/West Bloomfield Area. In 2003, he advanced to become a Network Tech in the Detroit System; a position he held for 5 years. He then then promoted to a Technical Operations Supervisor for the Detroit System and in 2011 he promoted to his current role as the Network Supervisor for Royal Oak. Over 15 years of experience within Comcast Cable. I hired into Comcast, Sterling Heights, MI in June 2003 as a CommTech 1. 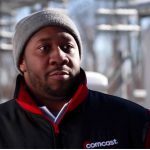 I spent 3 years in Service and Install work, including Comcast Digital Phone, Wireless Networking, and was one of the technicians for our office’s Comcast Digital Voice launch. I spent nearly 8 years as a Network Technician, CT5 across the Detroit East Area systems of SEMI, Royal Oak, and Pontiac/Waterford. Competed in Comcast CommTech Jeopardy 2013 as the Heartland Ohm Boys (and a Girl) where we took home the Division and National Championships. I was part of the Detroit East Headend Group for approximately 2 years. Built and launched one of the first RFoG platforms in Michigan. Moved into the Heartland Region Capacity Team in November of 2016, since which I’ve helped our department create over 3,000 new child nodes to manage HSD and VOD capacity. I’ve been responsible for standardization of certain equipment deployments and launched our Network Tech Validation processes. I am looking forward to the opportunity to be a Board Member of the Great Lakes Chapter of the SCTE to help local professionals of our industry continue to advance their training and expertise, spread best practices, as well as shape standards for tomorrow’s technologies. I joined Comcast Cable in 2006 as a customer account exec in our Sterling Heights location. Fast forward to today, currently working as a NCT 5 with our South East Michigan network team. I’ve been very fortunate to work my way through this great company from CAE to install/service tech to business tech to network tech. I became a part of the GLC and a national member in 2012. I attended a few meetings here and there. I came to the conclusion that I wanted to be part of this organization and I wanted to actually have a role and a say in the training that we seek out and provide. SCTE has provided me with invaluable leadership training, relevant and on point technical trainings and has given me countless networking opportunities. I have had an amazing opportunity to build relationships and work with some brilliant people from inside and out of my company. The journey thus far has been astounding and I am eager to continue developing and moving forward with this great organization and board. I joined Comcast in 2006 after I separated from the military (Navy) with an honorable discharge as an electronics technician aboard the USS Ronald Reagan (CVN-76). I started as Service Technician in Plymouth, MI, as a residential installer, I was then selected to work with the Commercial group from 2010-2014 out in Wixom, MI. I was quickly elevated to a subject matter expert on all things commercial, when Commercial took off from 2014- late 2017 I again advanced to CommTech level 5 as a primary .advanced services technician, In this role I took on many high profile projects, worked with many departments/individuals, took on many new challenges and responsibilities. In late 2017 I took a transfer to the network depart and I am currently serving as a maintenance technician level 4. I look forward to the new challenges and opportunities it affords. Began his Comcast career in February of 2006 in the Ann Arbor IPSSC/Call Center where he provided internet and telephone customers with troubleshooting, provisioning, and support for both services. In 2008, he went to work for the Midwest Region NOC as a Network Surveillance Technician. As the Regional NOCs standardized to Xcellence of Operation Centers (XOCs) in 2010, he became an HFC Desk Technician, which later evolved into a Network Services Desk Technician. 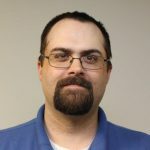 In 2012, he had the opportunity to become a CMTS Engineer and was in control of writing and implementing internal configurations for routers such as Motorola BSR, Arris C4C, Arris C4, Cisco 10k/Harmonic 6G, and the Arris E6000 gear, supporting both the Heartland and Big South regions. 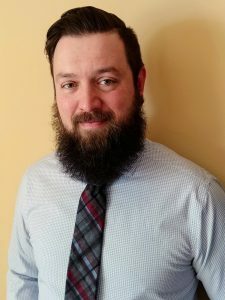 In 2014, he was recruited by the Heartland region Capacity Team to project manage CMTS card adds, node split projects, and VOD capacity expansion. Based on his hard work and customer focus, he won the Heartland Customer Experience Award in 2017, which was a very proud moment for him. 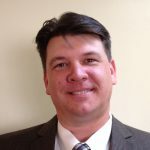 And most recently, he is working for the Comcast Central Division Capacity Team as a National point of contact for CMTS cards, CMTS chassis deployment, OLT (Sumitomo/EPON) deployment plans, Fiber Deep (X-Net) deployment plans, and preparing for Remote Phy.